It is time for another blogpost! This time it is about a bug I found and I believe it could be quite useful for you someday. It is worth mentioning it affects all versions of IE (tested on win 7, win 8.1 and win 10). It does not affect Edge. Ok what is the bug about? As you can see it is super easy example which just takes one parameter. It could be used as playground for xss vulnerabilities, right? Not really! There is first line which says server should return Content-Type header with value “text/plain”. Lets check whether we can inject some harmless HTML. As expected, we can inject whatever we want, but browser will not render/execute it. Reason is obvious, response is of a type text/plain. You can save content of this file on your web server and access it with IE (please mind two new lines at the end of the file!). You will see it is rendered properly. BTW pay attention to “Content-Transfer-Encoding: quoted-printable” – to make it short it is similar to URL encoding except it uses equal sign instead of percentage. 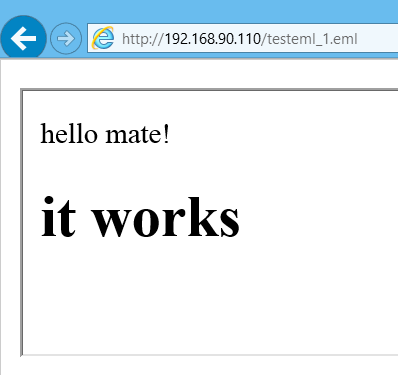 Screenshot below shows testeml_1.eml returned with correct Content-Type. Finally give us the bug! You see? Exploitation is sucessful! 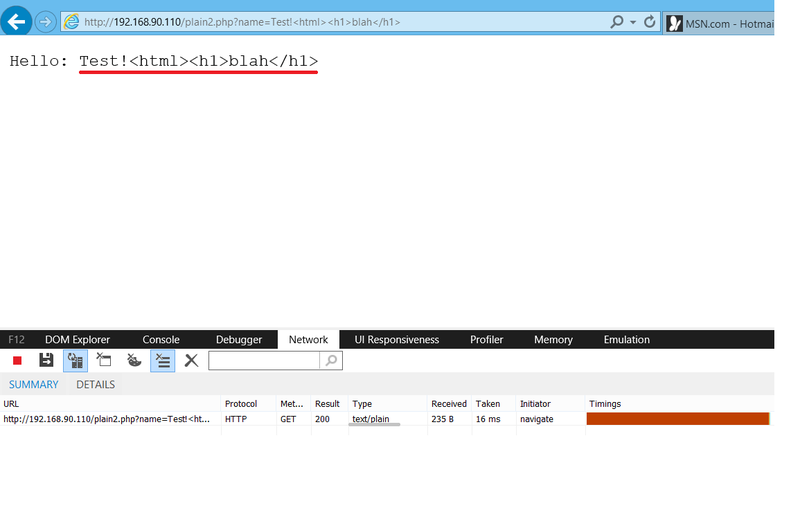 Although we are framing file with content-type “text/plain” we force IE to perform mime sniffing (that is why <HTML> should be presented in the request/response) and render our payload. Best defense is to prevent framing, if you edit the sample file and add header(‘X-Frame-Options: DENY’); exploit will fail. I would like to warn about following: setting header(‘X-Content-Type-Options: nosniff’); will NOT prevent this attack (good move IE, why would you follow RFC, right?). This cannot be reproduced anymore. I believe conclusion is very important in this case – follow defense in depth principle! Yes it does not only apply to infrastructure but also web applications. What defense in depth means? It basically says you should not rely only on one layer of protection but rather apply as many layers as possible. For example when you are securing your windows server you don’t just install AV and call it a day. You make sure all patches are applied, proper rules are applied through local policies (or domain), default accounts and disabled, etc. You should take the same approach when securing your web application. Do not only rely on one layer of protection (in this case broken promise that text/plain is not executable) but rather also implement proper input validation and output encoding. Following this approach will minimalize the chance that your whole application will be exposed to major risk in case one layer of protection breaks. I was thinking about what should be my first blog post about. Then I decided that it would be cool to have some articles about not so common vulnerabilities in web application. Everyone knows about SQL injection or XSS . Instead of trying to describe something what has been described 10000 times already I decided to write about not so common flaws. First of all what a host header is? This header can usually be found in HTTP request, it’s main purpose is: “The Host request-header field specifies the Internet host and port number of the resource being requested, as obtained from the original URI given by the user or referring resource” RFC2616 says. The risk comes from simple truth – many sites use value provided in this field and use it later without proper input validation. In many cases this might not have any significant impact but there are other places in the application where accepting arbitrary host header can have pretty bad consequences. Was the response same as in previous example? If yes you might just found arbitrary host header vulnerability. Why is this bad? 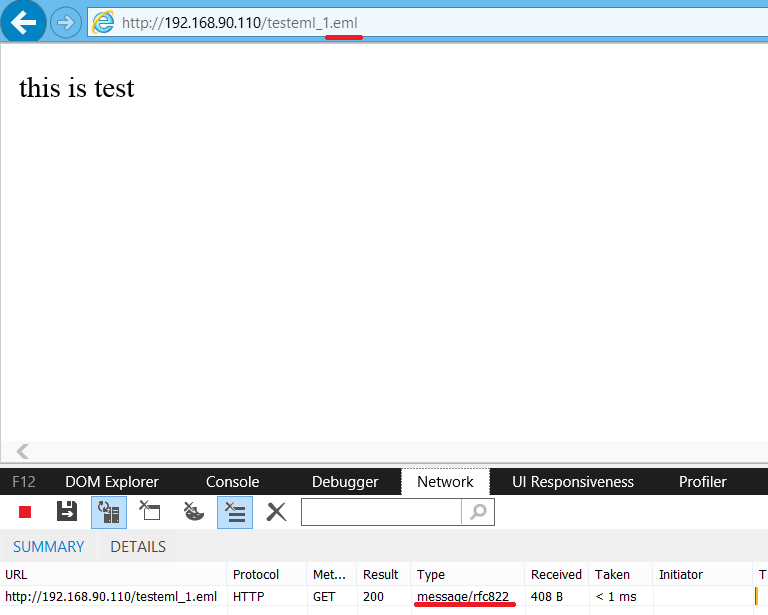 Well because application obviously returned content although we specified invalid/incorrect Host header. Ok, but how can I exploit this? It really depends on the application logic. If the application does not use this value then there is no risk. Thankfully there is one particular place where this issue can be deadly – password reset functionality. It happens a lot when you are resetting forgotten password, application creates link dynamically and use host header provided in request. This happens very often in case of cms developed for masses. It is convenient for developers just to use this header because they don’t have to hardcode anything. But they forget that everything coming from user can be changed/spoofed/edit so it cannot be trusted (remember this very carefully, it is golden rule in IT security world)! This is awesome, isn’t it? We can send email to arbitrary user of the application and make sure his password reset link will be poisoned. As soon as victim clicks the link his token appears in our logs – that’s it – game over for victim, we can hijack the account. A user is most probably not gonna click the link because he did not ask for password reset. Well there comes social engineering to rescue! You can be creative and come up with your own reason why he should click. Our first email to victim had following idea: “Dear client, unfortunately we have to inform you our systems have been breached and there is high chance password leaked as well. To deny attacker accessing your webpage with leaked password you have to reset your current password. Reset link will be sent to your email address in a few minutes”. Right after you send this email you can send the poisoned one. Of course better your social engineering email is higher are chances user clicks the link. After user clicks password reset link and lands at your web page make sure you just don’t leave him there because he might get suspicious like “dude what is going on? I clicked on password reset link and ended up on completely different domain”. This would screw up your attack for sure. As soon as you have the access token just redirect user back where he should have landed originally. Correct – this request leaves your company network and Varnish will cache the response as it was for myfavouritewebpage.com. Ngix on the other hand sees valid attacker.com and will return it’s context. This means your company’s Varnish cache will be poisoned in such a way that when someone writes myfavouritewebpae.com to his browser content of attacker.com is returned. Hello everyone, it’s Jan. I have heard it is quite cool to have your own blog nowadays so I would like to start my own. As you might know I’m security specialist (mostly focusing on web app security, exploitation, RE, malware analysis and red teaming activity). I will try to blog about interesting vulnerabilities I have encountered during my testing. Author adminPosted on September 24, 2016 February 6, 2017 1 Comment on Hello world!